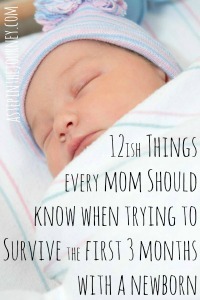 Our kiddos are currently 4.5, 3, and 9 months old. They are an absolute JOY 90% of the time, but if I am being honest (and I think most of you would agree) that other 10% is tough! Parenting is hard yall. This post is a little wordy, but hopefully worth the read as we share our approach toward guiding our children and setting expectations for them. Conviction, right? I often find myself parenting out of frustration, instead of grace (especially during the witching hour!). But this quote reminds me time and time again that in parenting, it should always be grace first. What a HUGE privilege God has given us to love, guide, and teach HIS children. Because the truth is, they are his. He has allowed us to love them and asks us that we first and foremost point them to HIM. Remember we are significant in their lives, but we are not sovereign. (“…for it is God who works in you to will and to act in order to fulfill his good purpose.” -Phil 2:13) And hopefully, he has put you in a community of faith to help you along the way! Let the kids be involved. This provides ownership. Keep the rules simple and make sure the kids understand them. Explain what it means to be respectful, obedient, etc. Your rules should be in line with your family values. Practice them. Role play goes a LONG way with kids. Here are the verses I use, but you may find some that work better for your family. 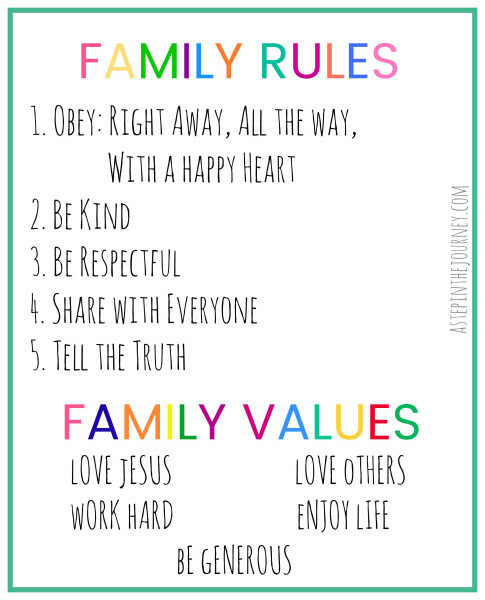 The second half of the printable are our family values. III and I came up with these a while ago. These 5 values are things we feel are most important to help guide our family and instill in our children. They are great to have around when big decisions are being made. 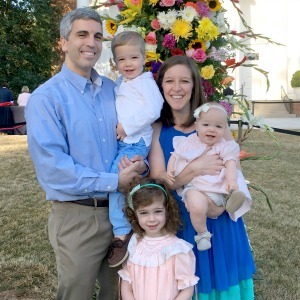 We can refer to them and discuss how the decision we are trying to make impacts our family values…I highly suggest sitting down and coming up with your own set of values. Knowing what is important to your family is a key to success! Parenting is tough and the responsibility is a BIG one. I’m thankful for the bible’s guidance, the example we both have in our parents, and our community of faith and friends to support/help us along the way! We are raising the next generation and my prayer is that they exemplify Colossians 3:12. I would like to get a copy of your Preschool Prayer.